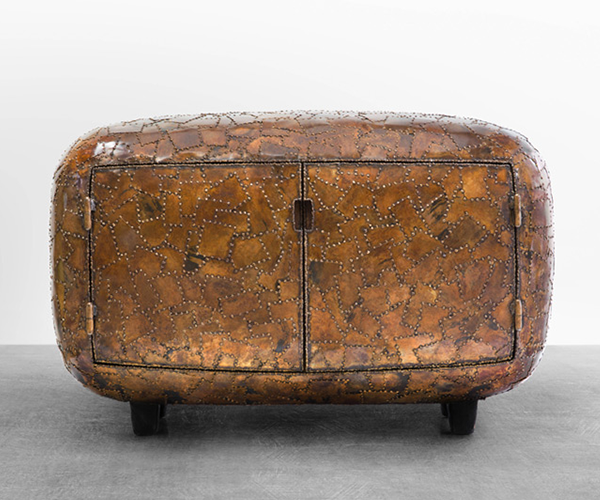 Carapace is a scientific term used to define a protective, decorative or camouflaging shell found on the back of animals such as beetles and turtles. The notion of creating a ‘hard skin’ to protect a soft body was the starting point for Baas’s furniture series of the same name. 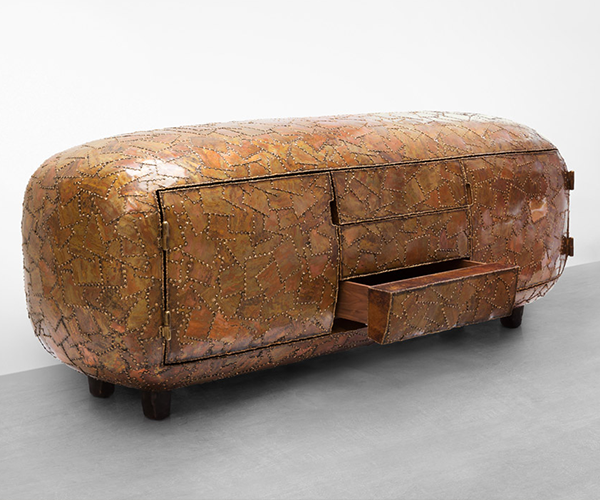 The robust, curved volumes of ‘Carapace’ reference the 1950s refrigerator combined with organic forms found in nature. 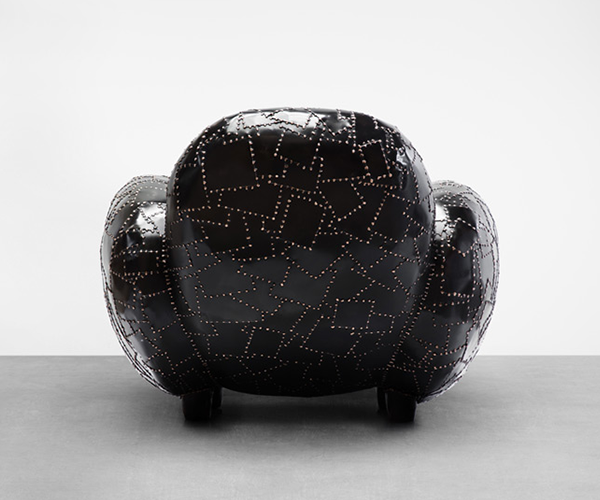 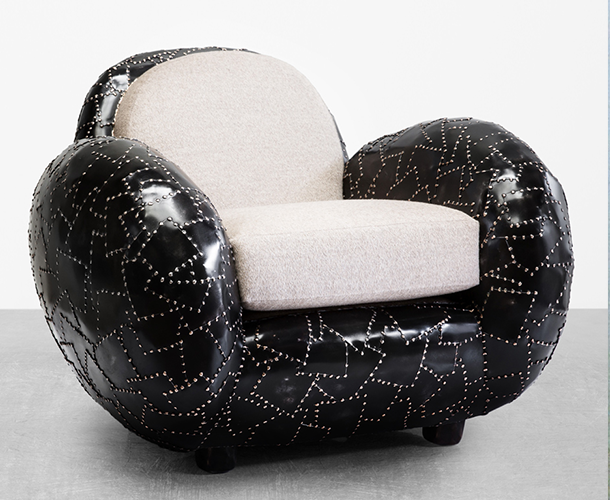 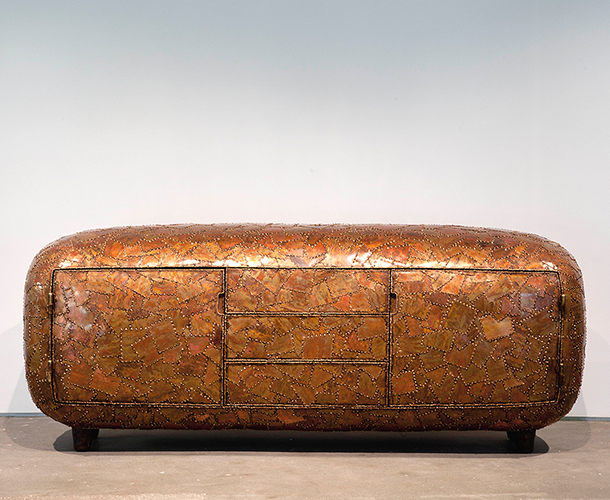 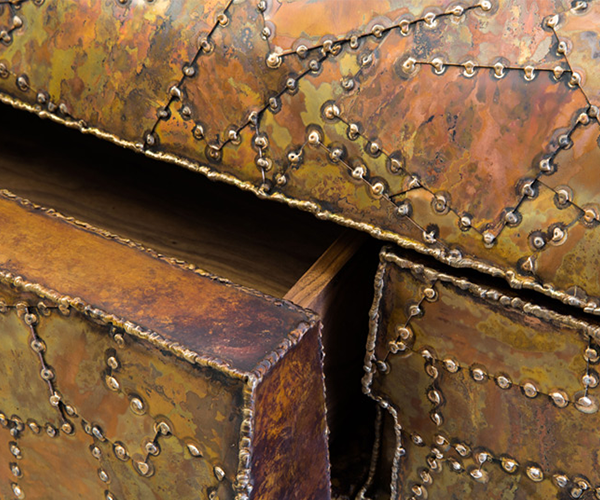 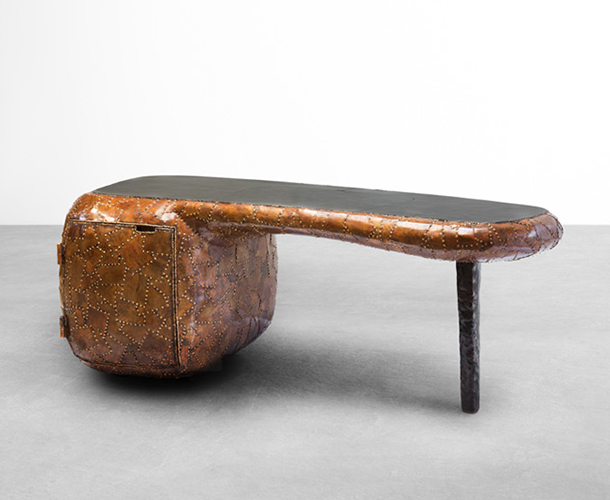 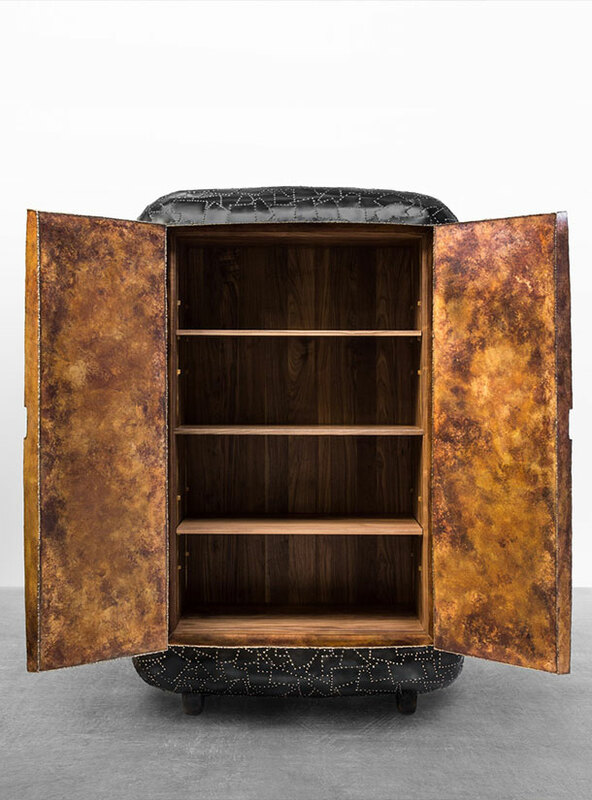 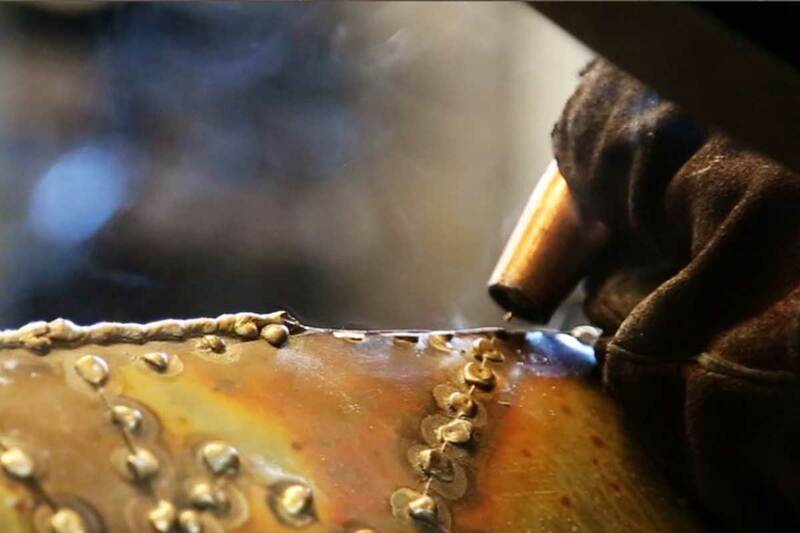 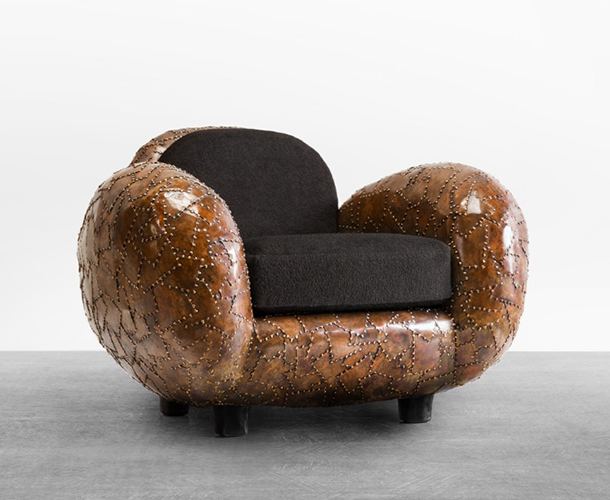 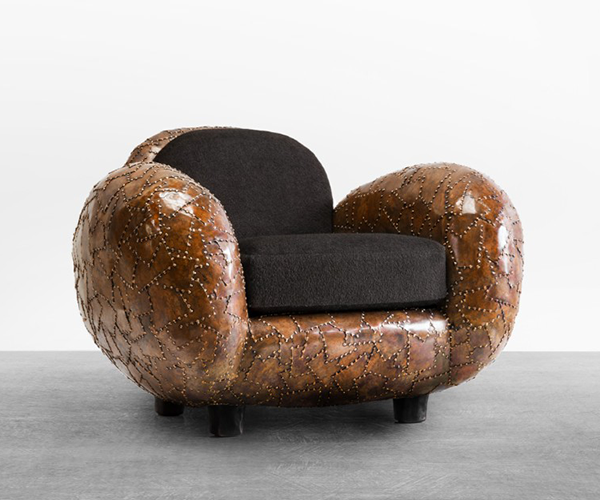 Each piece is characterized by a patchwork of bronze plating, dot welded piece-by-piece, forming the skin or protective ‘shield’ of the furniture, similar to a turtle shell. Collectively, the pieces reflect the idea of protection in harmony with the beautiful- a hard metal exterior that consequently conveys the evolution of the very fine interior. 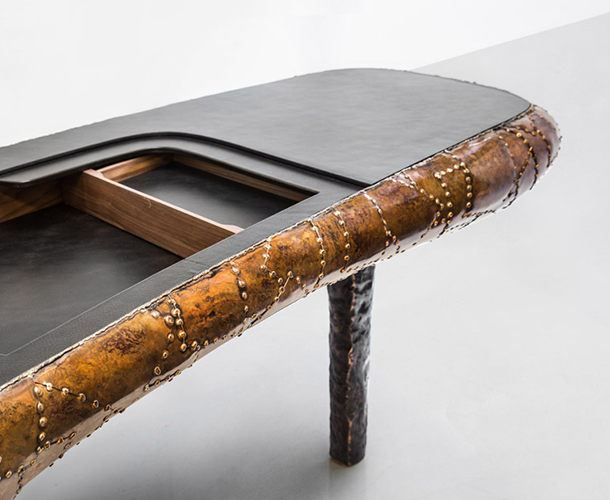 The collection is available through Carpenters Workshop Gallery.